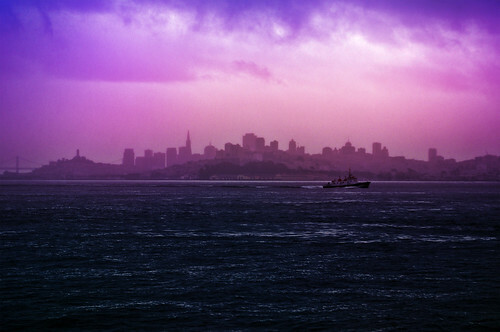 San Francisco is a city with more bars, saloons, speakeasies, and dives than there are sins to commit. He said, as he pulled down his fedora. Some of you know what it’s like to drink hard, and many like to brag about heavy drinking. Why is that? It is as if the ability to drink demonstrates strength of character and history of endurance, though it does not. Bragging about endurance is only natural, as is the rebellious aspect; indeed, the dangerous indifference to one’s own well being is, to a reasonable degree, a desirable masculine attitude, as the difference between bravery and ambivalence to danger is subtle, if it exists, and perhaps exists in the altruistic intention. Bravery without altruism is just spectacle. Let’s drink to that. Some of you know what it’s like to stay one drink deep, on the shallow end, until others’ looseness furthers your own. Some of you know what it’s like to be drunk, perhaps drunk alone at the end of the night, hard walking down the street as if you are traipsing across lily pads or walking on stilts, and hard into bed and sleeping only hours and then facing that blue dark loneliness of the time before dawn. The morning is death but slow rebirth cleans you and by the next sunset you are new again. Drinking affects different people in different ways. There are people, perhaps most people, who have a steadfast rudder and experience the highs and lows of life and return to the middle road – they drink to have fun with friends and lovers and exciting new people, to extend the moment in which you let go, to lose the edge of self-consciousness so that laughter comes with more ease, to experience the rhythm of the music at the most guttural level, to embrace other things when the buttons and clasps seem complicated – and to arrive in the morning like a traveler returned, not knowing quite what has changed in the time gone and feeling the pain and erosion that comes with such physical expeditions. You’ve been to Kilimanjaro and back, my friend, but at times the needle may have stopped scratching the wax, and memories of that expedition may be lost. There are also people who develop a dependency and it is very unfortunate, for them and the people who care. I don’t mean to take that lightly. People like me, so aware being the Other and watching from a distance with eyes like cut glass, often need a drink not for fun, but for the luxury of a deep breath, a matter of tampering down nervous dispositions as one may wedge a wad of paper beneath a wobbling table leg. Nervous may not be the right word; personally, a drink can muzzle a certain undesirable perspicacity that hinders enjoyment. I don’t enjoy the deep end, where you feel the weight of a deep sea on your limbs and moving your body feels like operating a marionette, but I do enjoy getting there. For such a small city, the density of bars in San Francisco is notable. I can recall about 30 that I am familiar with, and considering that I’m a homebody most of the time, the average young fellow may know much more than me. I don’t care to review my favorite; they’re all pretty much the same. They’ll all get you where you’re going. Every drink is a memory. I like the cocktails at Range, on Valencia, but it’s full of fancy people so you better look sharp if you want to be invisible. Rye’s drinks, towards Nob Hill, were pretty good too, but mostly I remember the company. The Lone Palm is nice, because it’s pretty quiet, when I said goodbye to my friend. There is no place to be quiet on the weekends. You shouldn’t go outside at night on weekends. If you need to go to a bar on the weekends, go early or go late to avoid the Normal people. The view from the place on the top of the Marriott is fun. The bartender at the secret bar in the back of Dalva seemed competent. I had a nice time at the top of Medjools when a girl tried to compliment my eyeglasses but I thought she was talking about the bar’s glasses, and confusedly, embarrassingly, just brushed her off; however the ‘Hemingway daiquiri’ seemed miniscule. The dudes at Hemlock were attentive, but I was just drinking a tall, overpriced can of PBR that night, and at closing time he made some funny jokes about needing to go home to his “beautiful girlfriend.” I’ve only been to Tosca once, and it was nice and empty, and we drank something with chocolate and brandy; it was Tuesday past midnight after our puppet movie played to a lukewarm audience. Then Vesuvio is across the street, but I don’t know much about it; I had a sambuca which a Dutch filmmaker friend bought me. And nearby there is Specs’, which has fun nonsense on the walls, and fun strange people, where my friend played the piano and bought me whiskey before she left for New York. There were some places in Noe Valley but I don’t know their names; Noe’s Bar isn’t really for young folks but it was good to catch up with my friend there from time to time. Back in the mission, Shotwell’s is good, unless you want something other than beer; however during the cold winter they had warm mulled wine, which I appreciated, reminding me of Oxford in December. Elixir has an everybody-knows-your-name vibe, but no one came to know my name. The absurdity of Martunis has been fun. The House of Shields provided a good place to take refuge from graduate school; I’m less familiar with its refurbished state, but the restoration is glinting with old world charm. 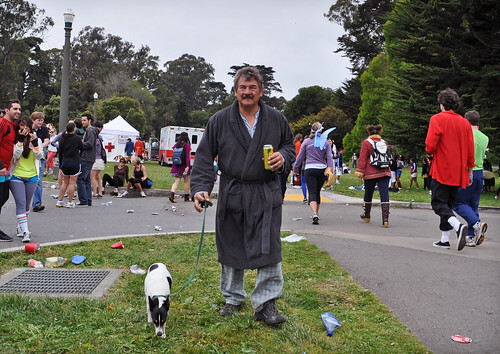 In my later, more recent days, a glass of beer at Dolores Park Café as the sun sets, over a good book or good idea that you are trying to get down, has been a warm refuge. There are many other places. My favorite place remains The Tonga Room, a grandiose tiki bar in the basement of the Fairmont reserved for rare occasions. The drinks themselves are syrupy and strong; if your foremost concern is the quality of drink, it is not for you. You must appreciate the hyperbolic absurdity of it, as you must with life, and laugh. 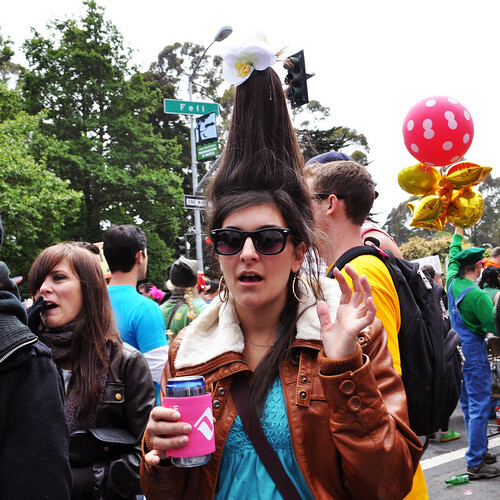 This entry was posted in Uncategorized and tagged alcohol, drinking, san francisco. Bookmark the permalink.